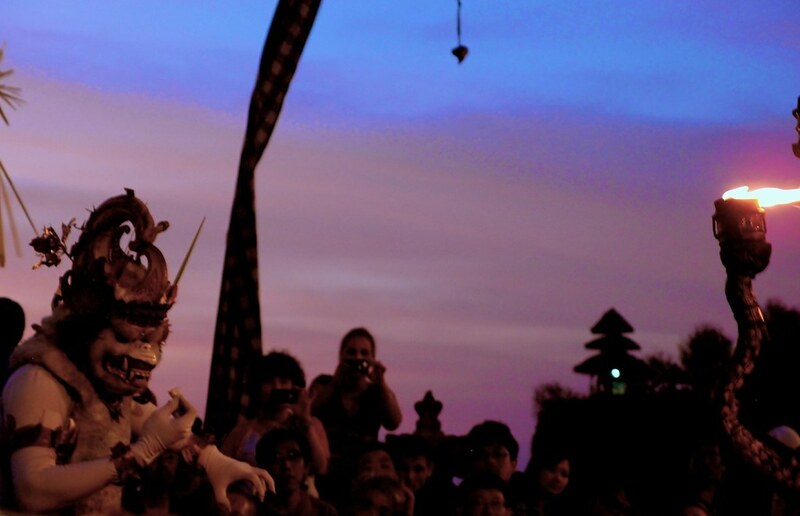 Bali is only a few hours from Java, but culturally, it is a whole world away. The people are primarily Hindu, so small baskets of colorful flower petals and incense—and the occasional cigarette—line streets, sidewalks, steps and cars’ dashboards as offerings to the gods. 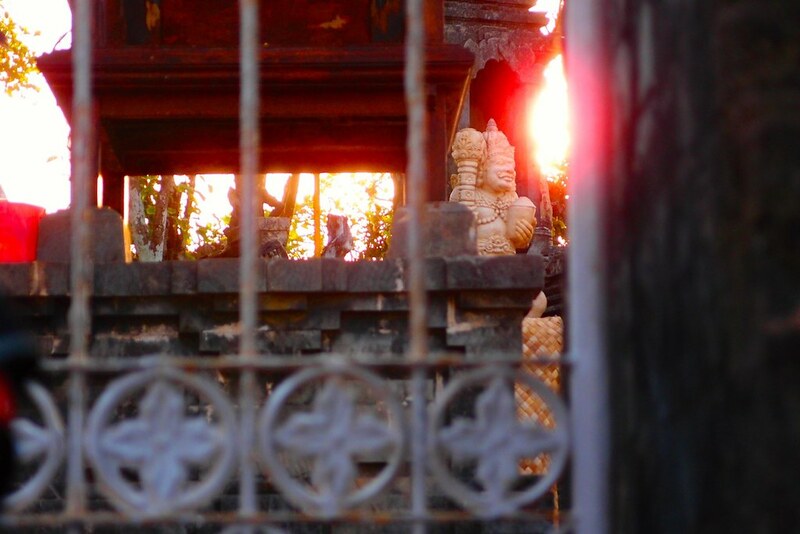 In Bali, I saw no mosques and heard no call to prayers. I counted five women wearing a jilbab. The skyline is adorned with bended penjor, tall bamboo poles decorated with leaves and a small cage attached at its end called a sanggah cucuk, that’s filled with offerings for the Hindu gods. Other Hindu shrines—both, large and small—spilling with the same offerings fill the gaps in the horizon. Stray dogs roam loose, roasted pigs hang upside down in front of restaurant windows, alcohol is advertised, women walk around scantily dressed—all unacceptable in Islamic Java. 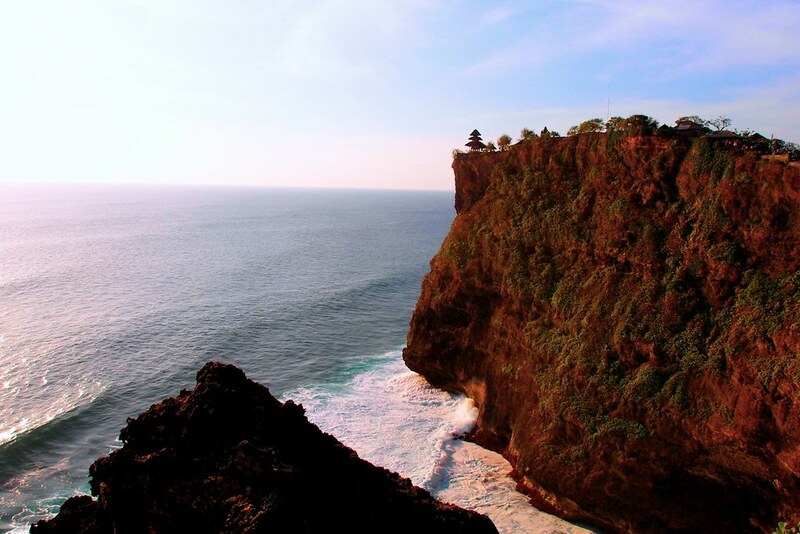 The Hindu influence of Bali makes “the Island of the Gods” even more breathtakingly beautiful, as pura, or Hindu temples, are often framed by giant sea green waves and an endless watercolor sky. 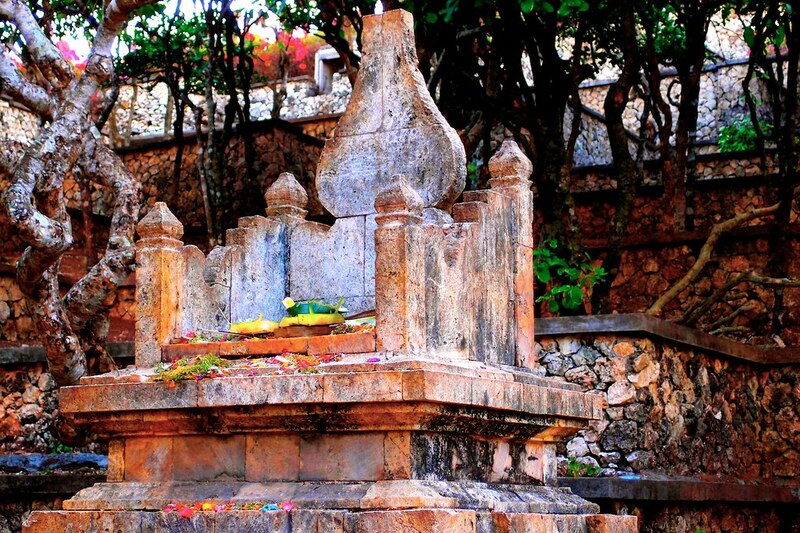 Offerings to the Hindu gods. 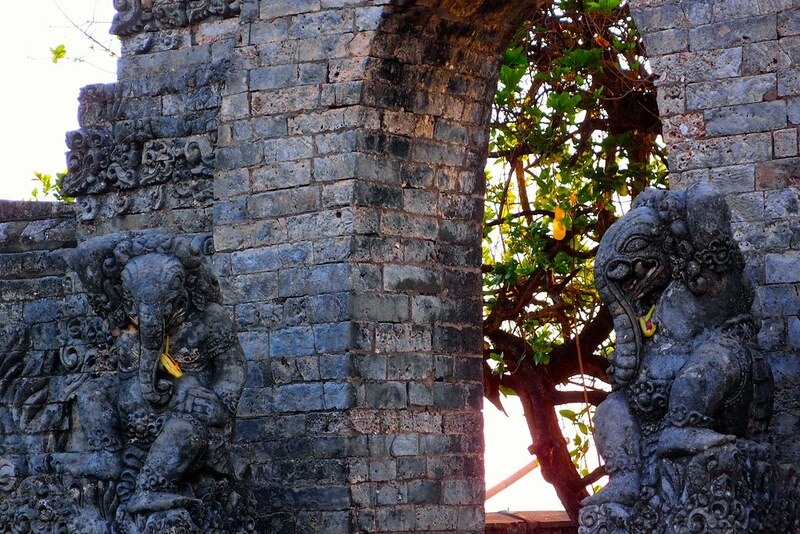 Statues of Ganesha adorning the temple. I especially like the texture of the dragons wings. I am not sure what god is represented here, but after a certain point only Hindus that wanted to worship were allowed in. 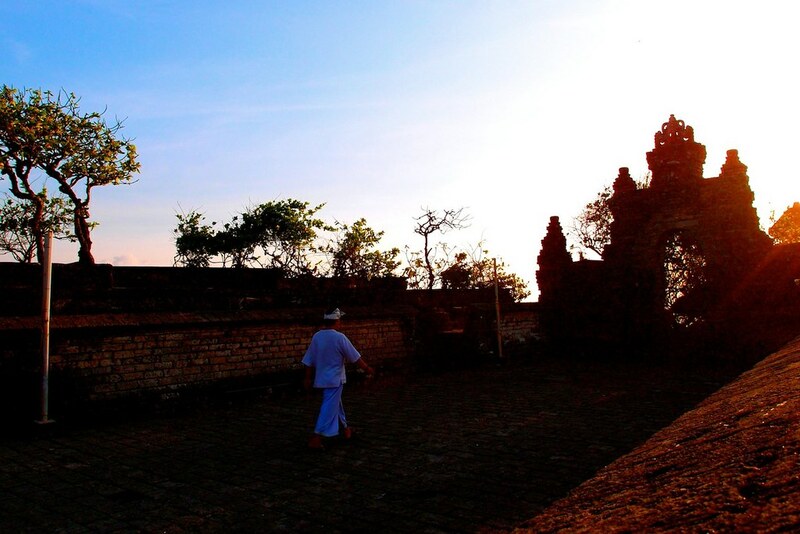 A man on his way to worship at the temple. 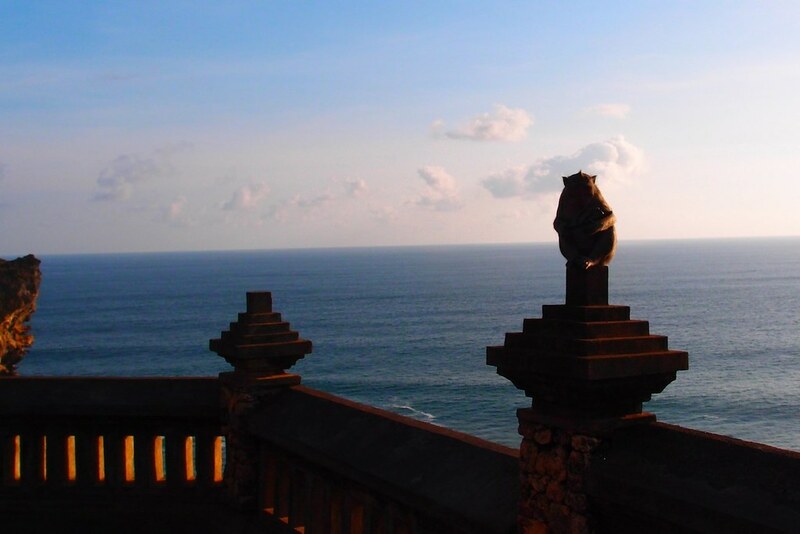 One of many monkeys pestering tourists at the Pura Ulu Watu. 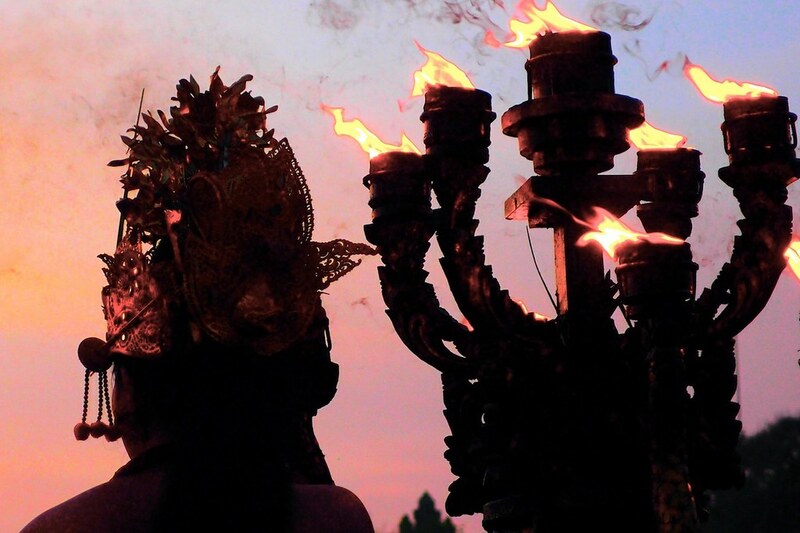 I regret that I only had time to visit one temple during my three days in Bali. 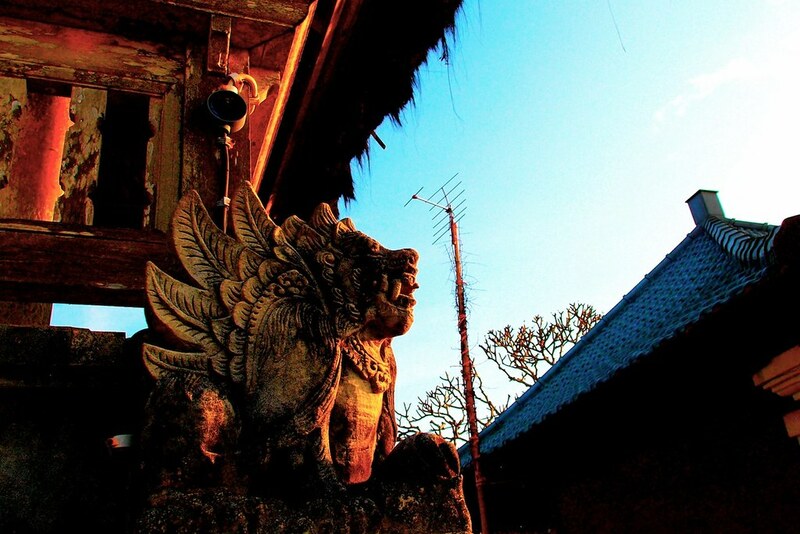 Yet, visiting the Pura Luhur Ulu Watu—a temple honoring the gods of the sea and also one of the nine major directional temples meant to guard the island from evil spirits—and watching a sunset kecak, a traditional Balinese dance, interpret the Hindu epic Ramayana makes for my favorite experience in Indonesia so far. 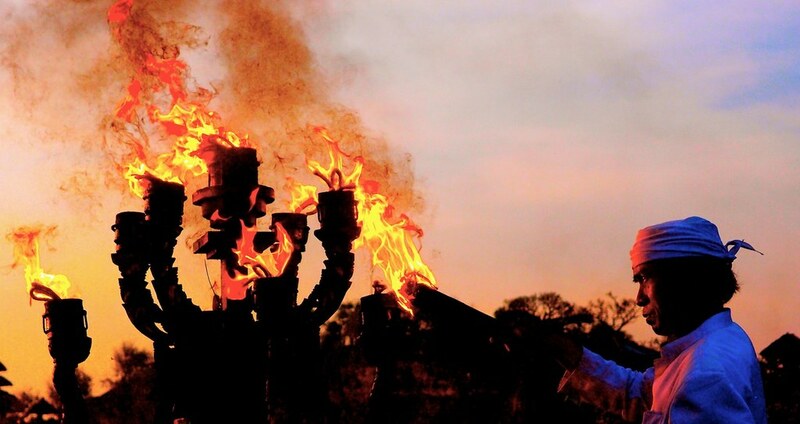 The kecak dance began with this man lighting the fire. 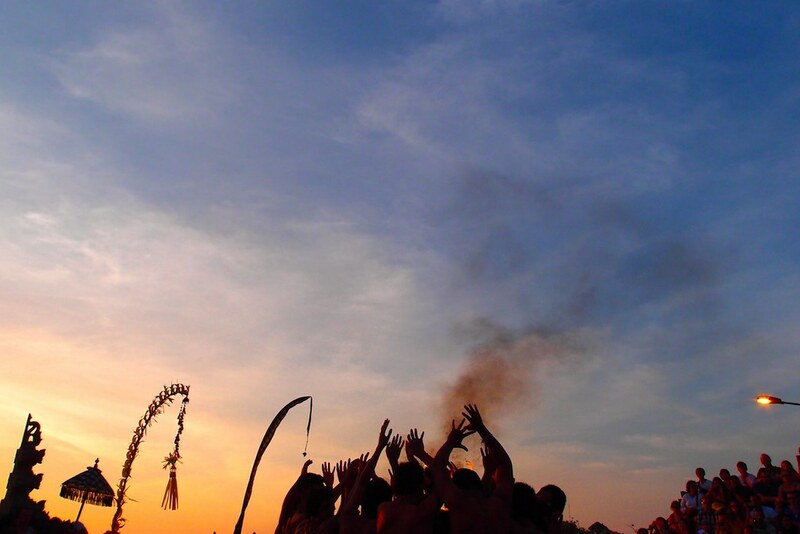 This fire was the central point of the entire kecak dance. 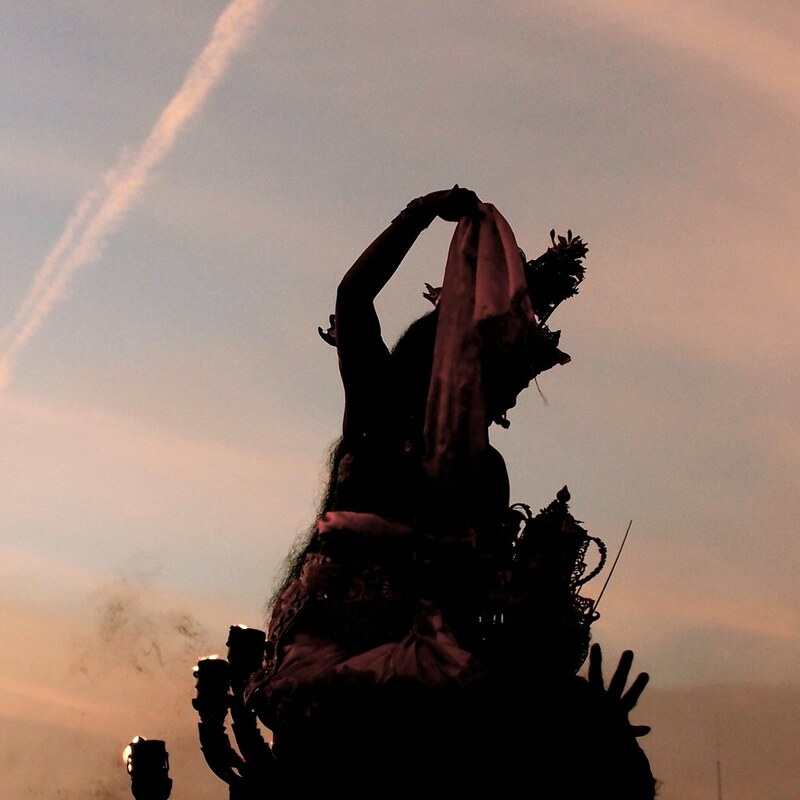 Kecak is a dance without music. This chorus of men chanted throughout the whole dance, mostly repeating variations of the word kecak (pronounced kechak) and other sounds. 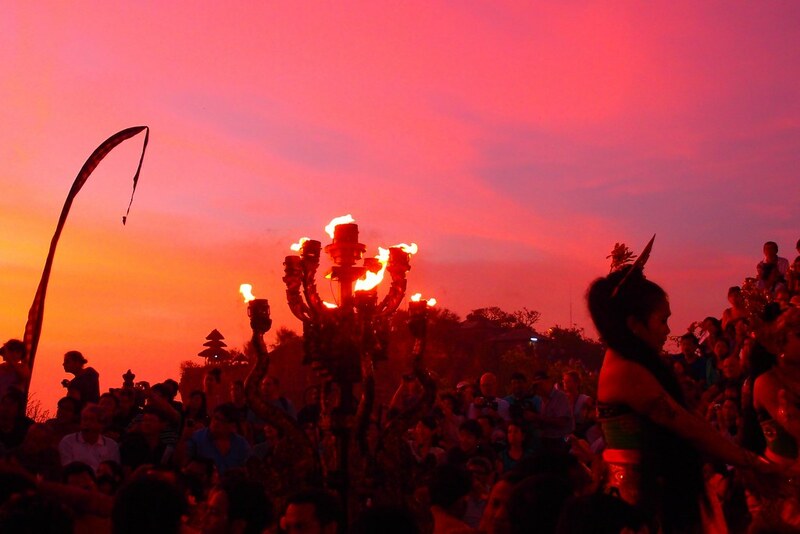 Note the penjor to the left of this image. 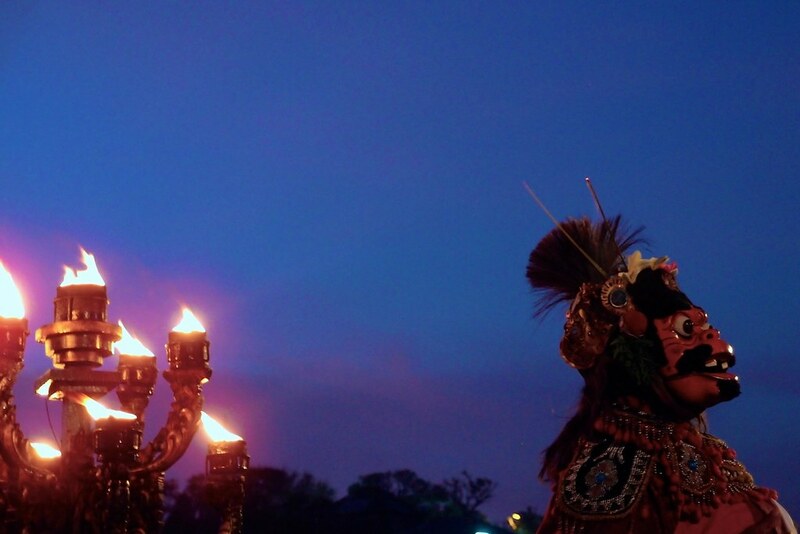 This was the main kecak dancer, representing the Ramayana protagonist, Siti. Siti being kidnapped by Rhawana. Siti in despair from being kidnapped and separated from her love, Rama, is about to commit suicide. This character is Hanoman, who aids Sita to escape her captor, just in time. King Sugriwa’s army defeats the army of giants fighting for Rhawana, reuniting Sita and Rama in the end. 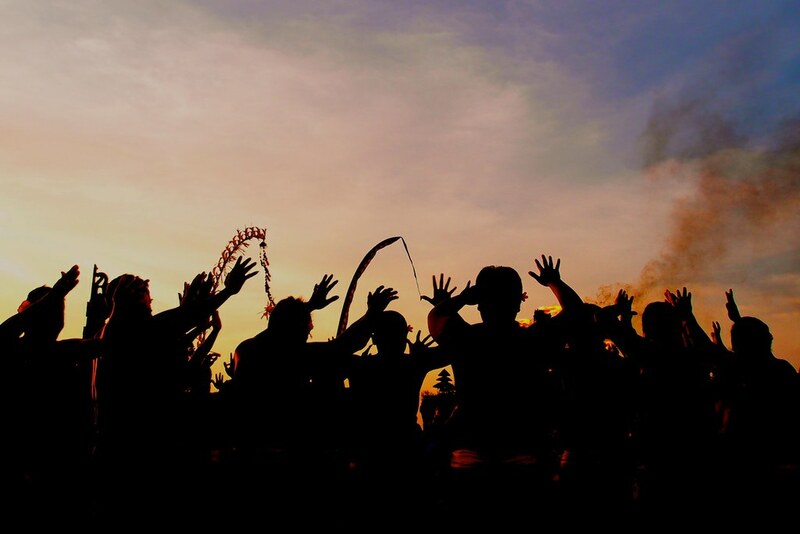 Tags: asia, bali, balinese culture, balinese dance, bukit peninsula, culture, dance, Ganesha, Hanoman, Hindu temple, hinduism, Indonesian culture, kecak, padang padang beach, photography, pura, Pura Luhur Ulu Watu, pura uluwatu lot, Rama, ramayana, religion, Rhawana, Siti, south east asia, southeast asia, Sugriwa, sunset. Bookmark the permalink. 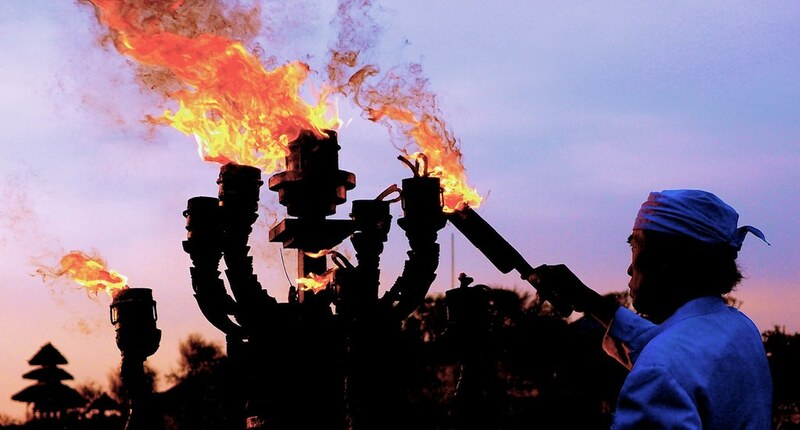 Your fire photos are absolutely stunning. Would I be able to yank a few for F2D (freshtodeathinfo.tumblr.com) obviously crediting how talented you are(!) ? Thanks Elle! Yes, of course you can!